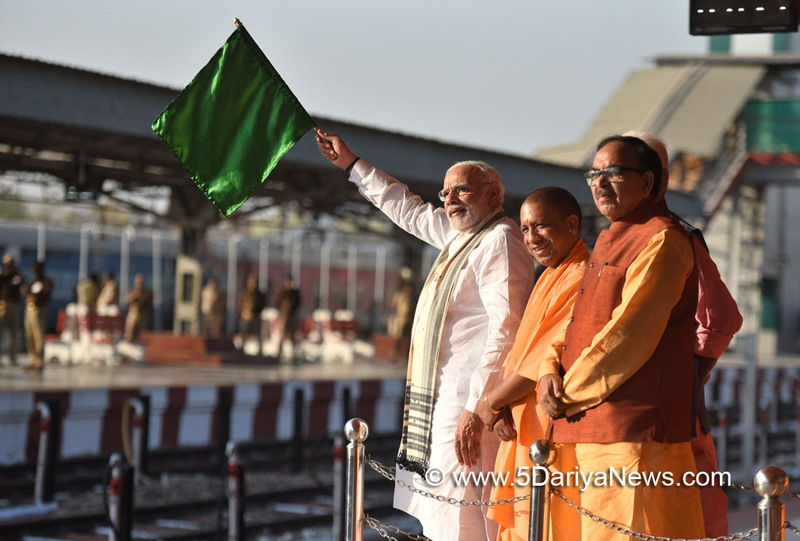 The Prime Minister, Narendra Modi, today flagged off a train between Maduadih Railway Station in Varanasi, and Patna. He launched various development projects and addressed a public meeting at the DLW Grounds in Varanasi.He complimented the people of Kashi for extending a warm welcome to French President Emmanuel Macron. He said the Government of India is committed to the continuous development and upgradation of DLW, which is a symbol of the industrial development of Varanasi.He appreciated the efforts of the State Government in the housing sector, and to ensure that more people get access to housing facilities.He also appreciated the exhibition on various "waste to wealth" initiatives that was set up at the venue.He said there is immense potential for tourism in Varanasi, and all efforts should be made to keep the city clean.The Prime Minister said that the recently announced Ayushman Bharat scheme is going to transform the health sector. It will provide top quality healthcare to the poor, he added.The Prime Minister complimented the Uttar Pradesh State Government for implementing schemes extremely well.